In the procurement criminal case of Riga city’s transport firm Rīgas satiksme, the Latvian corruption watchdog might find valuable information in a recent report by the State Audit Office on the administration of the transport infrastructure of the capital, said head of the watchdog Jēkabs Straume to LTV programme Rīta Panorāma. 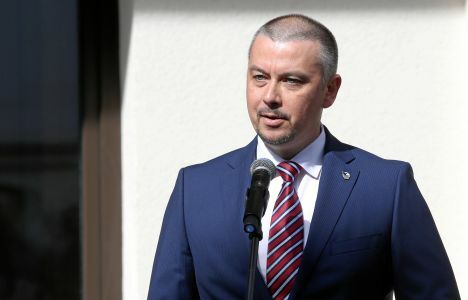 Straume, chief of the Latvian Corruption Prevention and Combating Bureau (KNAB), said in the interview on Thursday, February 7, that normally, the State Audit Office sends its findings of violations to KNAB, if they they fall within the jurisdiction of the corruption investigators, but it had not happened yet in this case. LTV journalists asked about the attitude of Straume toward comments by politicians about the work of KNAB. The chief of the institution responded that he did not take such views into account and does not let them affect the work of KNAB. Some politicians have asserted that KNAB’s search at the premises of Riga Mayor Nils Ušakovs (party Harmony) had been conducted to distract the attention from the Saeima debating, whether to allow MP Juris Jurašs (New Conservative Party) to be persecuted for disclosing KNAB investigative secrets. The State Audit Office wrote in a press release on February 6, that it found that the municipality of Riga, in developing the transport infrastructure of the city, acted inefficiently, not economically and not in compliance with the requirements of laws and regulations. Auditors also found, a lack of targeted solutions to long-standing problems, while the implementation of existing projects has been chaotic and non-transparent. By doing so, the needs and interests of traffic participants – drivers, cyclists and pedestrians – are not addressed in the short or long term, the auditors found. «The municipality is constantly excusing itself of a lack of money to solve problems. After the audit we have reason to point out – if the municipality does not work purposefully and according to the priorities it has set itself, then the additional funds will hardly be used for the long-term solution of the real problems,» noted the Latvian Auditor General Elita Krūmiņa.